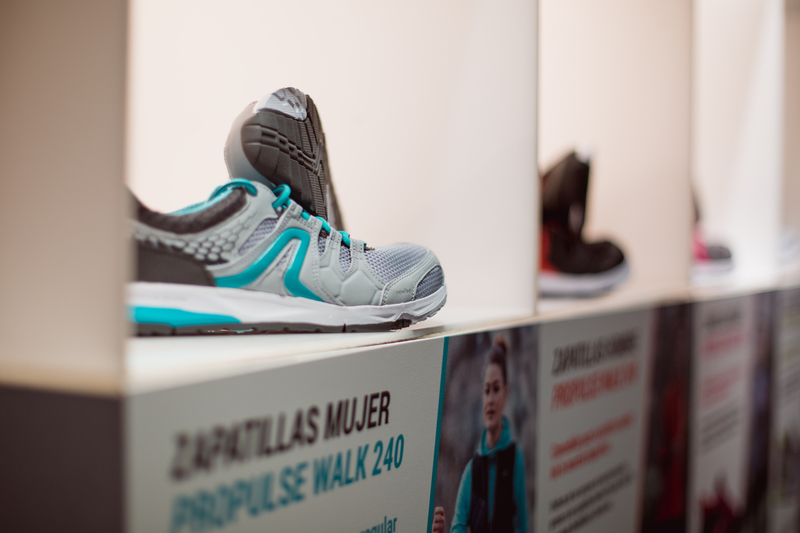 Recently, I’ve been invited to a Decathlon Spain & New Feel Event which was about nordic and power walking. As I love power walks, this was a perfect opportunity to learn about this sport and the suitable sport gear a little bit more. But before I get into that in depth, I would like to tell you a little bit more about the Decathlon event. At this presentation they introduced us to the new products regarding power and nordic walking. There are so many different nordic walking sticks, different material, adjustable and fixed ones, some which you can easy click off your wrist and so on. 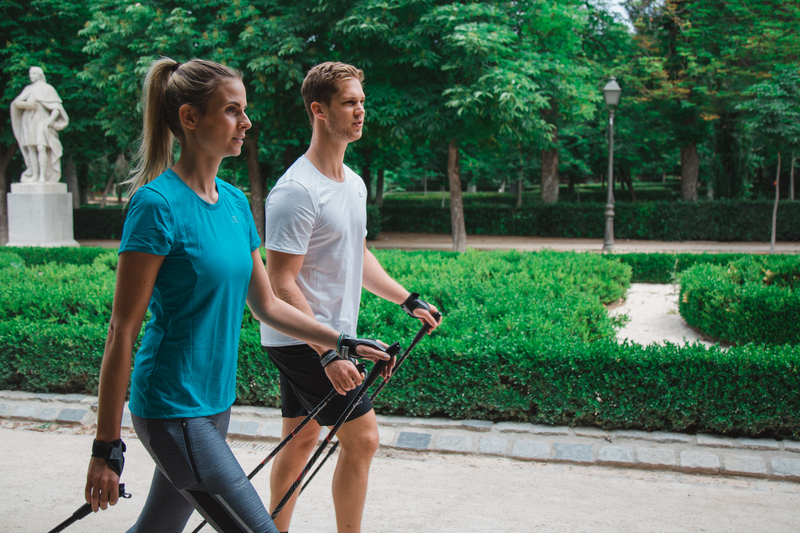 Besides the sticks, there are also two different kind of shoes – one for powerwalking, which is more flexible in the area of the ball of the foot and the second one for nordic walking, which is a little bit more stabil and with a bit more profile, which allows it to be easily used in rural areas. I got to test the power walk one and, as you might have seen in different Instagram postings, since then I’ve worn it regularly. Its not only the style which I do like but more importantly this shoe is really comfortable and absolutely suitable for long distances. As I told you before, I tried nordic walking. I was quite sceptical as I had connected nordic walking with an easy going walking exercise and people just having their sticks with them as some kind of an accessory. However, this isn’t the truth. The instructors showed us the right technique and with this you really use the sticks to push you forward. This pushing raises your speed immediately and you get way faster than by simply walking. In my view, this is great as you can do long distances by walking in a way shorter time. In addition to this, by using the sticks you also work on your upper body, arms and core muscles are used and I had the feeling that I walk way more upright than usually. And a bonus for me – I figured out that this kind of walking doesn’t strain my knee as much as normal walking or jogging does. The last month I struggled a lot with knee issues but I had the feeling that this sport uses your thighs muscles more than actually burdening the knee. Therefore, I would recommend this sport to every one who likes walking or is searching for an alternative to jogging. Summarizing, I had a really fun day and it was for sure not the last time for a nordic walk.